Want the new Gmail? This is how you can get it. Open up your normal Gmail. 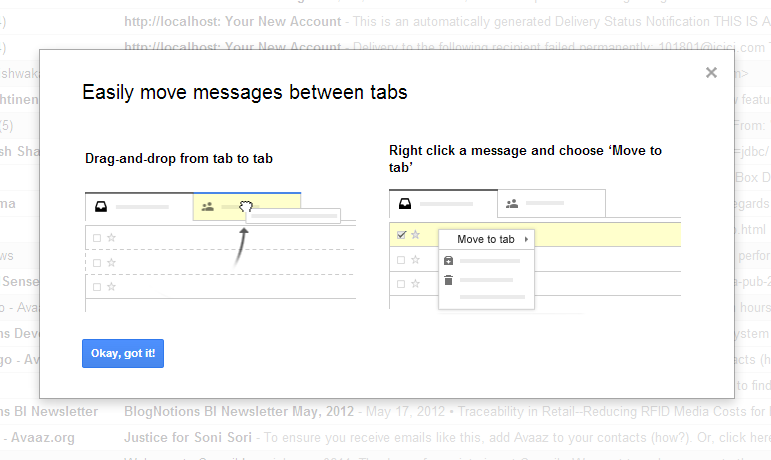 Click on the cog in the top right corner, select configure inbox and boom! Check all options & Save it. Click on "Okay, got it! And you are done... Welcome to the new Gmail! 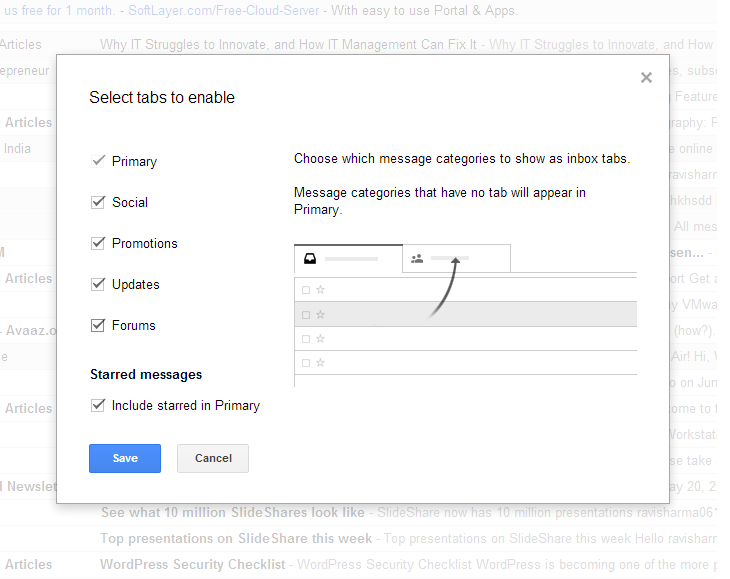 With the new Gmail, you can easily move message between different tabs. Enjoy the new Gmail Look!